The Tribology and Precision Machining Research Lab is designed to research fundamentals of tribological phenomena and support related industries through research activities and cultivating students and i-Kohza members. 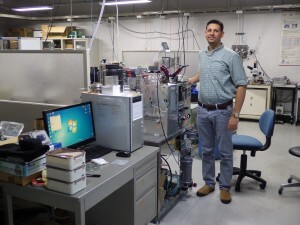 TriPreM has been performing collaborative researches with Kyushu University on fundamental tribology issues and with AIST (National Institute of Advanced Industrial Science and Technology, JAPAN) on controlling technologies of experimental atmosphere for tribological experiments. These collaborative efforts have proven to be fruitful in enhancing the synergy between Malaysia and Japan, uplifting research institutions in both countries closer to visions of the future. For students, we foster independent problem-solving ability into our prospecting students, such as the “5-whys approach”, while involving themselves in research activities which will give birth to students with capability to iron out issues at root cause. In addition, we mentor students in the ways of the Japanese, well-known for producing top-achieving engineers and scientists globally, by instilling courtesy and good mannerism, for greatly improved teamwork and interaction not limited to just within the lab’s circle, but with co-workers, friends, and family. As a MJIIT student, some minimal academic assistance such as laboratory supervision, marking of laboratory reports and taking part in conferences (local and overseas) are required. 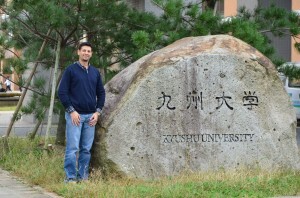 MJIIT offers study supervision from Japanese professors of various expertise from a multitude of fields, often extending their knowledge further than their primary research interest. Candidates will suffer no shortage of proper supervision, and MJIIT will match candidates with professors that would best match their research interest. Following that, MJIIT will also confer opportunities to travel to Japan on many occasions. Candidates will visit Japan to attend various conferences which are collaboration efforts from MJIIT and Japanese universities such as Kyushu University and Tokyo University, and in addition, candidates will also gain opportunities to visit other countries as per i-Kohza’s research activities. Candidates may also opt to perform their post-graduate studies at Kyushu University, with periods ranging from 3 months to 6 months. Exceptional candidates stand to receive scholarships from MJIIT and/or tuition fee waiver. Scholarships may be given out for both Masters and PhD students, with Masters candidates receiving up to RM1,800, and PhD students up to RM2,500. UPDATE JANUARY’18: Currently, we are not accoutered to support foreign (non-Malaysian) students financially. 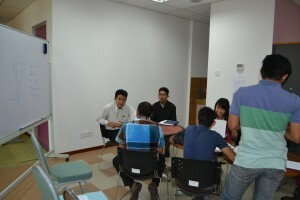 Non-Malaysians who wish to enter MJIIT, our laboratory advises the student to secure a financial source of funding. We apologize for any inconveniences this may cause. The main medium of communication within the i-Kohza is the English language, however Bahasa Malaysia and Japanese are also spoken on an occasional basis. Members and students of the i-Kohza also speaks Mandarin, Arabic and Tamil, among others. Potential students may wish to make appointment for further discussions. Interested candidates are requested to submit resume/CV to haz.farah@gmail.com.